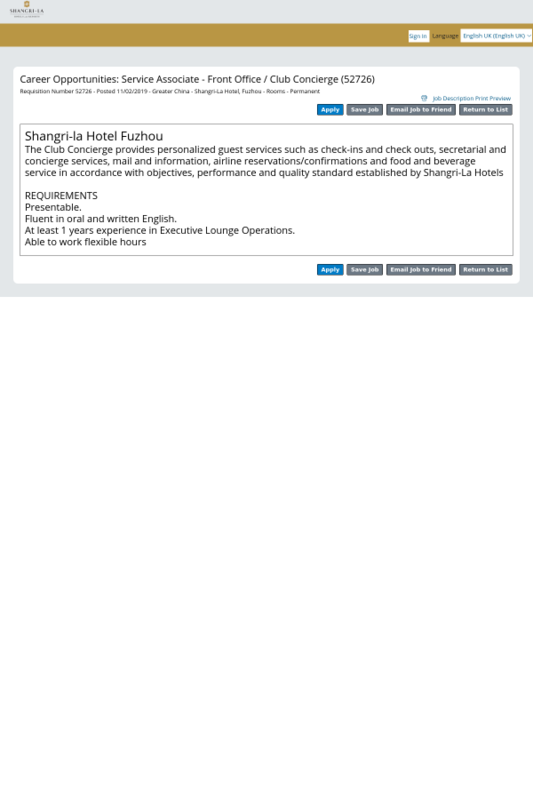 At least 1 years experience in Executive Lounge Operations. Confirmed 4 hours ago. Posted in 6 months.